Thank you Irene! Blessings to you. A beautiful feeling of new beginning, hope and faith! Thank you Erika! Blessings to you my friend. Surreal and hopeful. I see wakes as special too. Thank you Cecilia! 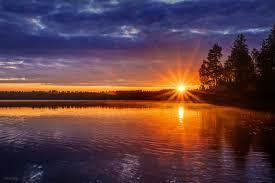 Blessings to you, and many sunrises! Thank you! I loved writing it. Blessings to you. Thank you and may you be deeply blessed as well. Thank you Mary! Blessings to you. So True! May everyone in this world wake up to see beautiful Sunrise. Yes, I agree! Light can bless our lives if we allow it to. Blessings to you. Thank you Dwight! I really appreciate your comment. Peace and great blessings to you.